We’d like to take a moment to give thanks to one of our key donors in 2019. Portlantis LTD is an embroidery and printed logos company based in Devon. Calvert Trust Exmoor is the Portlantis charity of the year, and we’re extremely thankful that the company have chosen to support us. 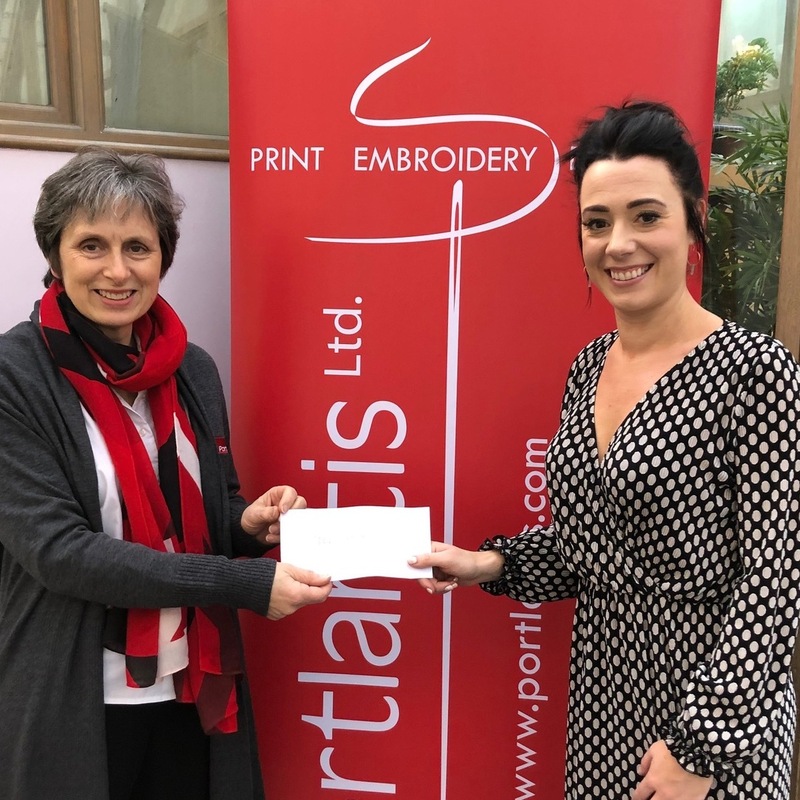 Back on the 28th February 2019, Portlantis held a grand event in Barnstaple. It celebrated the business transferring to a new home, the launch of their new website and to showcase a new promotional video that highlights the logos they can add to workwear, promotional clothing and team wear. Daisy, a Calvert Trust Exmoor fundraiser, attended the event. As a part of the evening Managing Director, Trudy Reynolds, offered a donations cheque to Daisy to mark the start of our partnership. A promotional code has been set up to allow further donations to be made. Those buying products through the Portlantis website can enter CALVERTTE10 at the checkout. 10% of the total price will be donated by Portlantis to the Calvert Trust Exmoor. So remember, when purchasing logoed workwear or promotional clothing online, do so via Portlantis and use code CALVERTTE10 when prompted to. All donations will go directly towards supporting us help those with physical, learning, behavioural and sensory disabilities to experience an enjoyable activities holiday at our all-inclusive centre. Any money we generate through partnerships with companies such as Portlantis, fundraising and donations ensure the centre can continue to cater to the needs and wishes of every single guest. With donations, we can update safety equipment, fund our facilities and provide a range of activities such as horse riding, canoeing, zip-lining and cycling for all. Visit our ‘Support Us‘ page for more information. Thanks again to Portlantis for making Calvert Trust Exmoor their charity of the year, we really do appreciate it.